Early aging of skin from sunlight exposure can affect people of all skin shades, so it’s important to know what your skin type is. Doctors classify skin types, also called skin phototypes (SPTs), based on the sensitivity to sunlight. SPT ranges from SPT I (lightest skin plus) to SPT IV (darkest skin). Skin types I and II are at highest risk of photoaging skin diseases, including cancer. Do you know what type of skin you have? 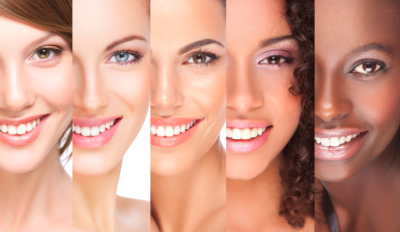 As you can read, determining your skin type is more than knowing if your skin is “oily, dry or normal”. Before purchasing any skin care product, you have to know excactly what type of skin you have.